I just love this label! 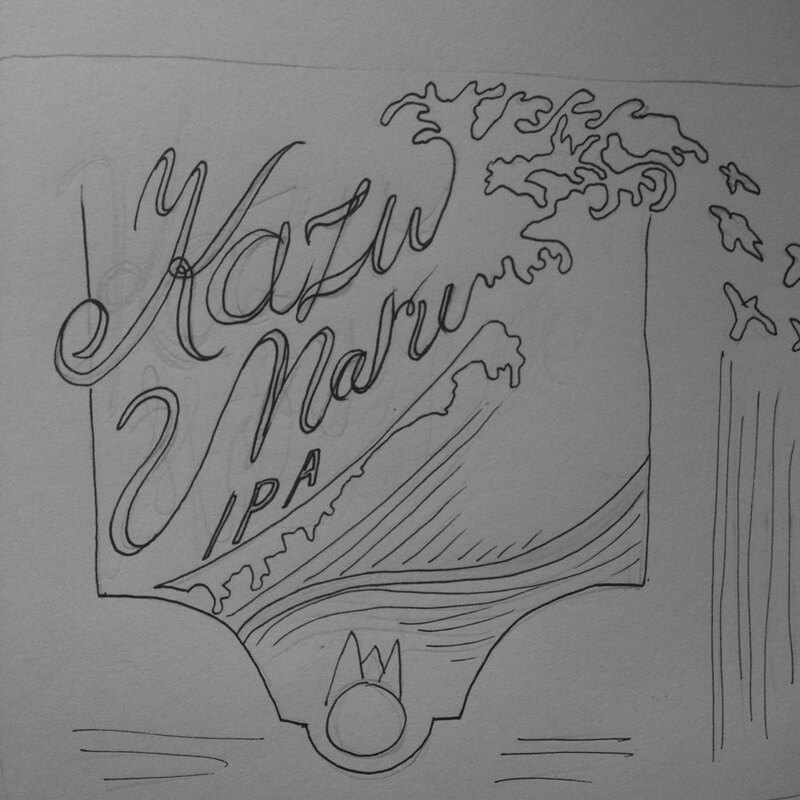 I designed and sketched it out while in Portland for the Craft Brewer’s Conference and Lifework comics festival in mid April, then did the linoleum carving and digitizing once back in Victoria. 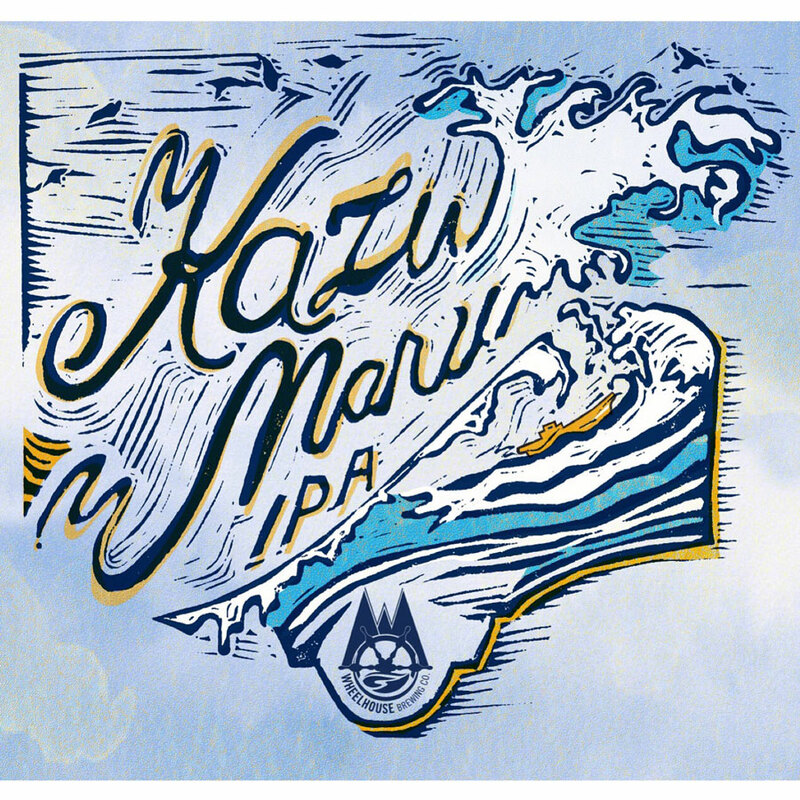 The beer is inspired by the story of the Japanese boat the Kazu Maru, and the design is inspired by Japanese woodcarvings and the open, unpredictable, ocean. 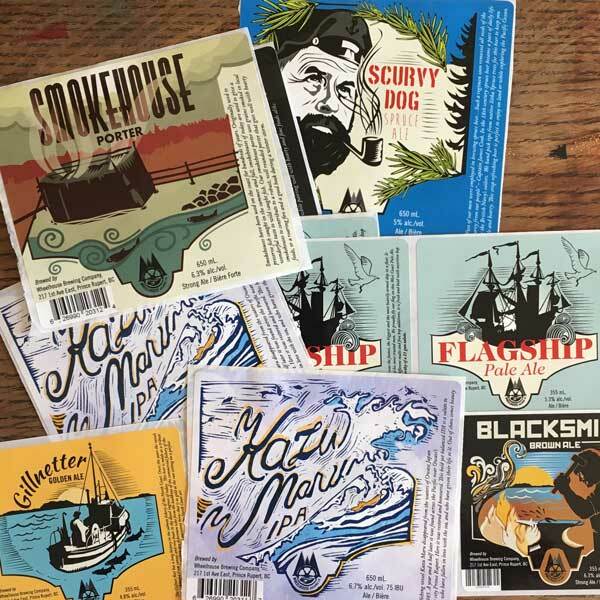 All of Wheelhouse’s labels use the shield shape which holds their logo and provides a frame for the artwork, this one is no different. 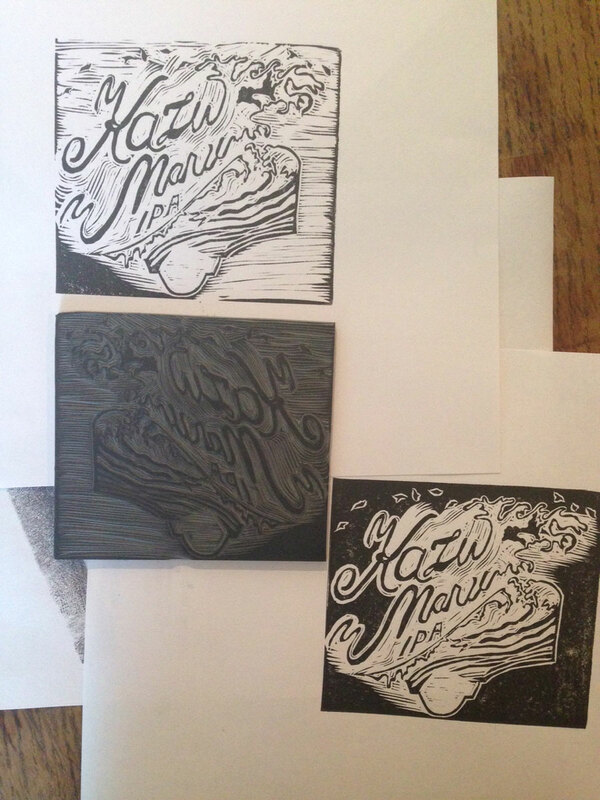 It was so fun to introduce carving into a label design!